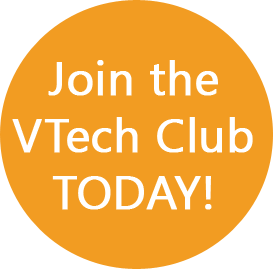 More than just a messaging device! 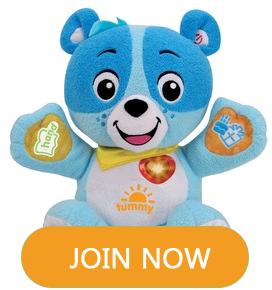 Using a wireless connection with KidiCom™ MAX, your child can exchange messages with family and friends, take photos and videos, play a variety of games with popular characters, safely browse the internet, listen to music and watch their favourite cartoon shows! 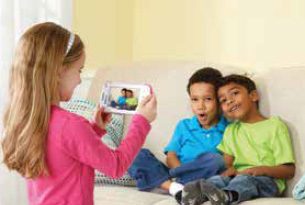 Using a wireless connection with KidiCom™ MAX, your child can exchange messages with family and friends and take photos & videos. 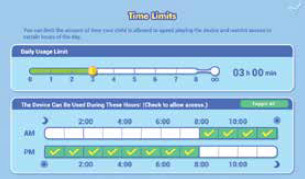 Also play a variety of games with popular characters, safely browse the internet, listen to music and watch favourite cartoon shows! Features a large 5 inch capacitive touch screen, 2.0 MP rotatable camera for taking photos and videos, 8GB of (expandable) memory and built-in rechargeable battery. 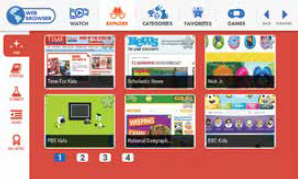 Connect to VTech's Learning Lodge to download lots of apps, games and e-books and choose from a library of great videos and music! 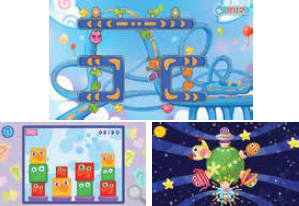 Includes great built-in games, learning and creative apps with many more to download! 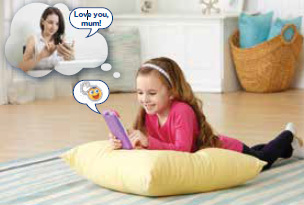 Send and receive text and voice messages via Wi-Fi to and from parent-approved iOS and Android smartphones. 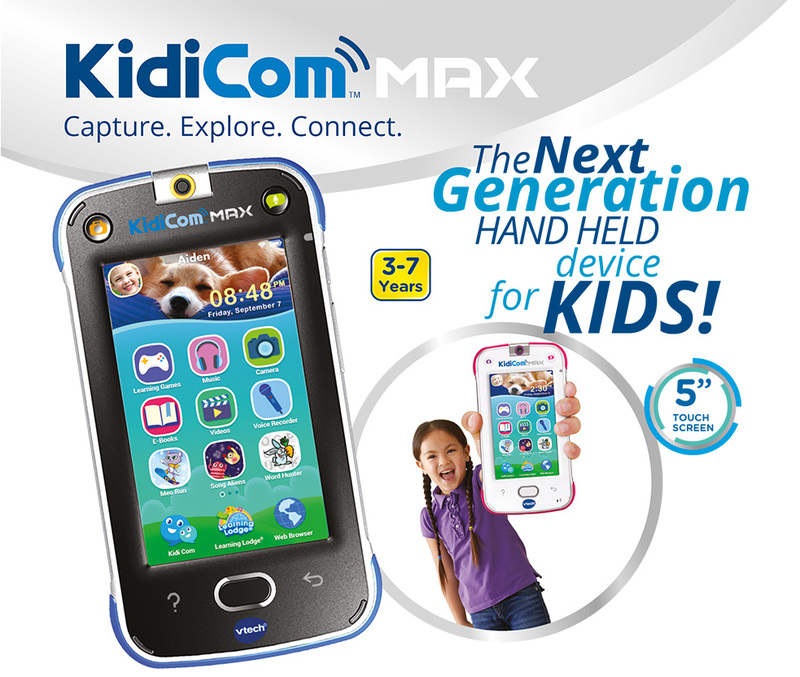 Power up your child's KidiCom™ MAX without changing the batteries! Simply connect the AC adaptor and plug it into an electrical outlet to recharge.